Crossway is proud to publish a number of new Bible editions this Fall, including the ESV Story of Redemption Bible, ESV Journaling New Testament, Inductive Edition, ESV Illuminated Scripture Journals, ESV Church Bible, and The Greek New Testament, Produced at Tyndale House, Cambridge, Reader's Edition. Browse new Bible releases by month below. The ESV Journaling New Testament, Inductive Edition features a 3/8-inch space underneath each line of Bible text, offering a fresh way to take notes and engage directly with every individual verse in God’s Word. 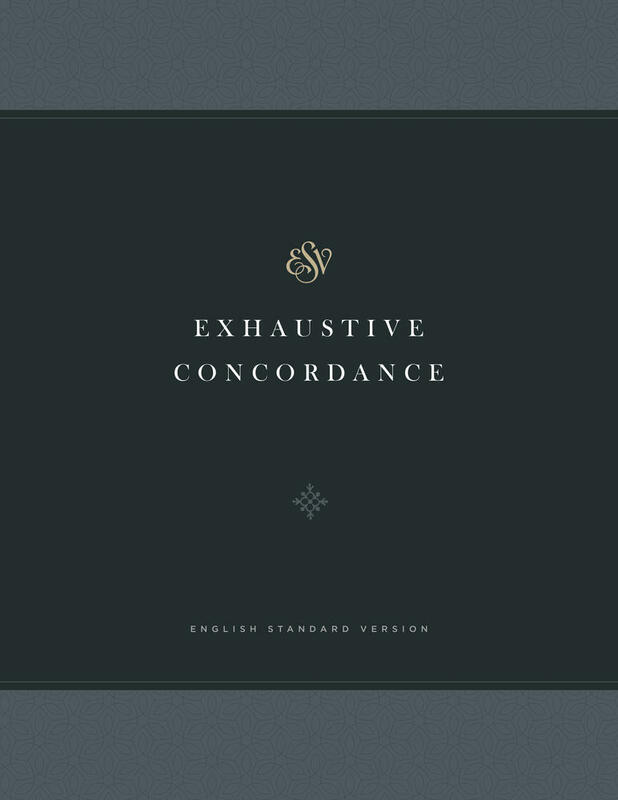 With more than 340,000 references connected to every verse in the Bible, the ESV Exhaustive Concordance is an ideal reference tool for quickly locating particular passages or for conducting in-depth word studies. 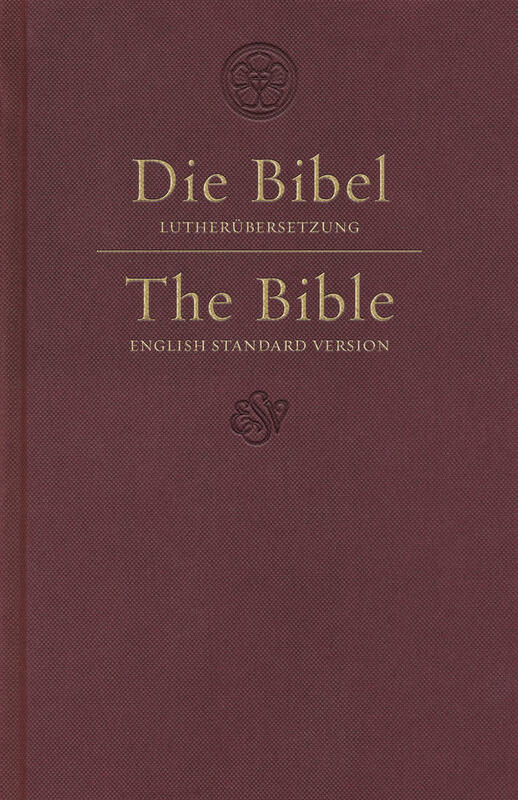 This newly rereleased ESV German/English Parallel Bible positions the recently revised Luther 2017 German text beside the ESV English-language Bible text, making it a valuable edition for native speakers, bilingual readers, or students of either language. 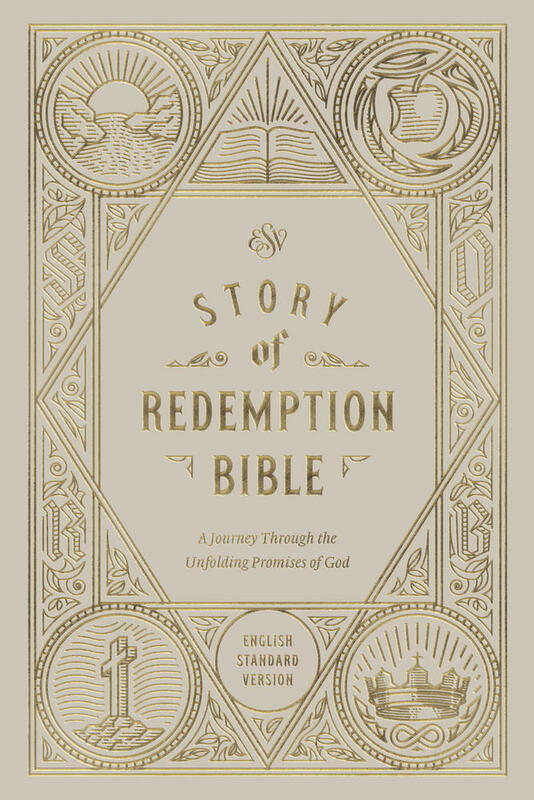 The ESV Story of Redemption Bible is a journey through the sweeping storyline of Scripture, with nearly 900 notes written by pastor Greg Gilbert interspersed throughout the full ESV text, and a foldout timeline in the back. 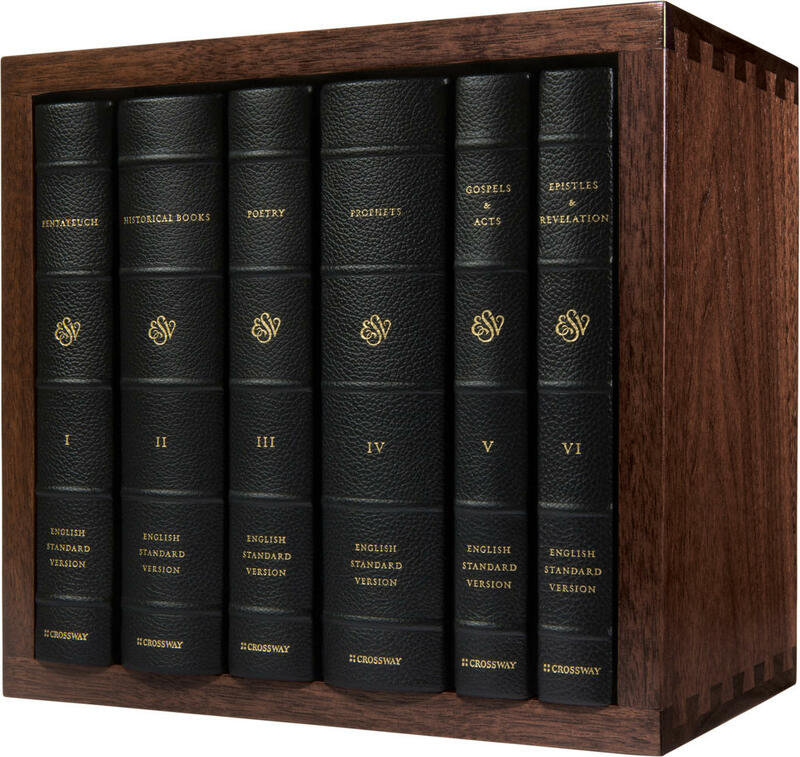 This high-quality, six-volume set has been rereleased, featuring single-column Bible text free of all verse and chapter numbers, with a cowhide cover and solid wood slipcase designed to be cherished and passed down throughout generations. The ESV Study Bible—created by 95 leading Bible scholars and teachers—contains a wide array of study tools, including 20,000+ notes, maps, articles, and more. 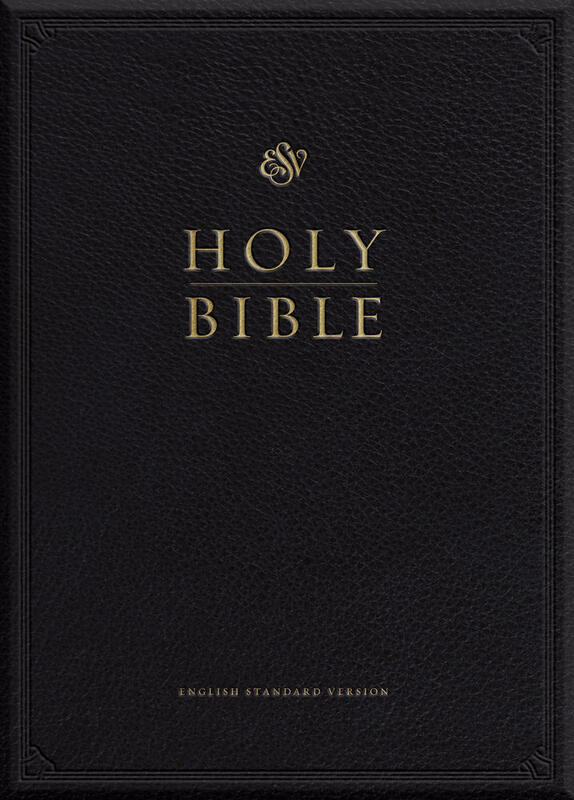 This edition features a premium goatskin cover and high-quality Bible paper. 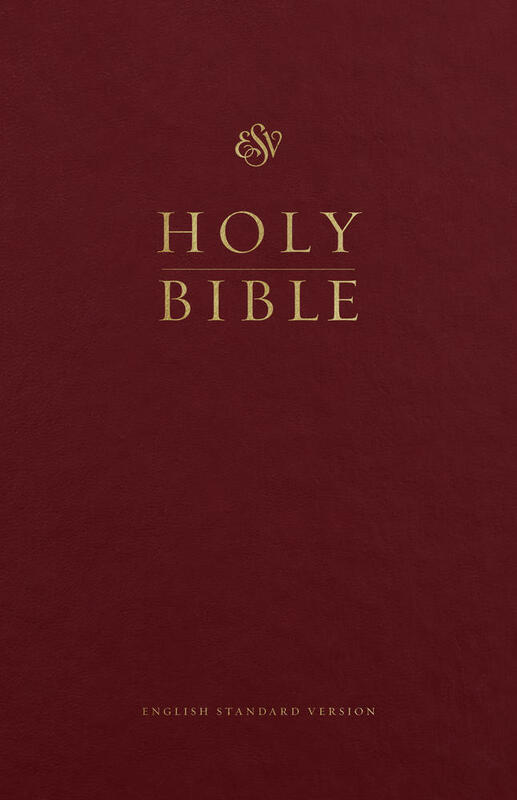 The ESV Large Print Wide Margin Bible features generous 11-point type, one-inch margins, and enlarged and bolded verse numbers, designed for easy reading and reference. 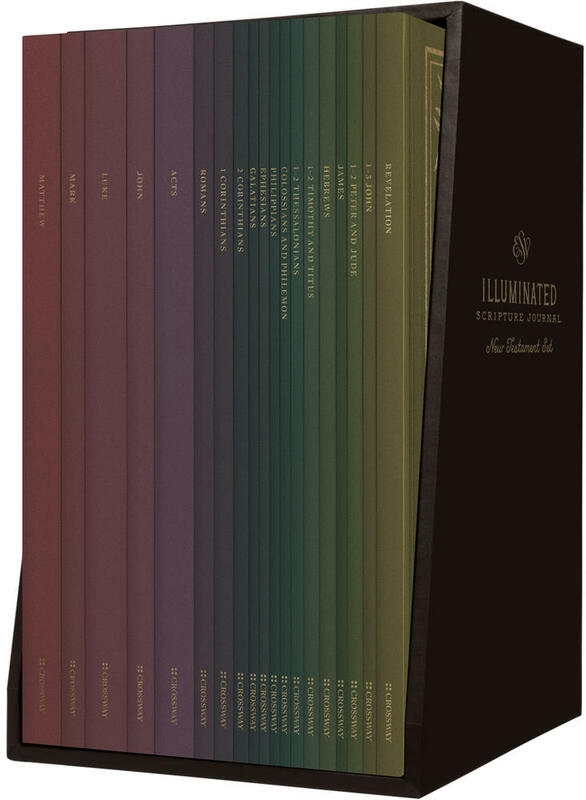 ESV Illuminated Scripture Journal: New Testament Set pairs the entirety of each book of the New Testament with a lightly dotted blank page opposite each page of Bible text and hand-lettered illustrations interspersed throughout—providing space to creatively engage with and reflect on the Word of God. 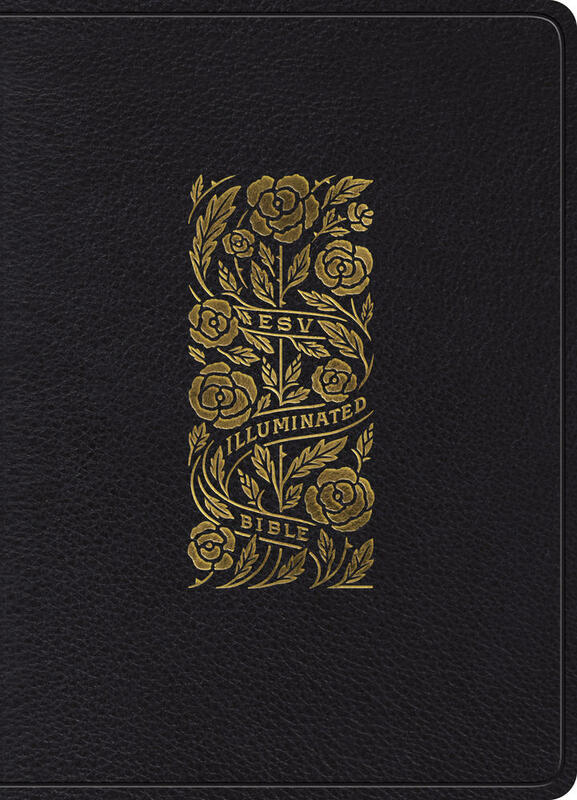 This rereleased, high-quality edition of the ESV Illuminated Bible features a top grain leather cover and the full ESV text alongside more than 500 elegantly hand-lettered gold ink illustrations by renowned artist Dana Tanamachi. 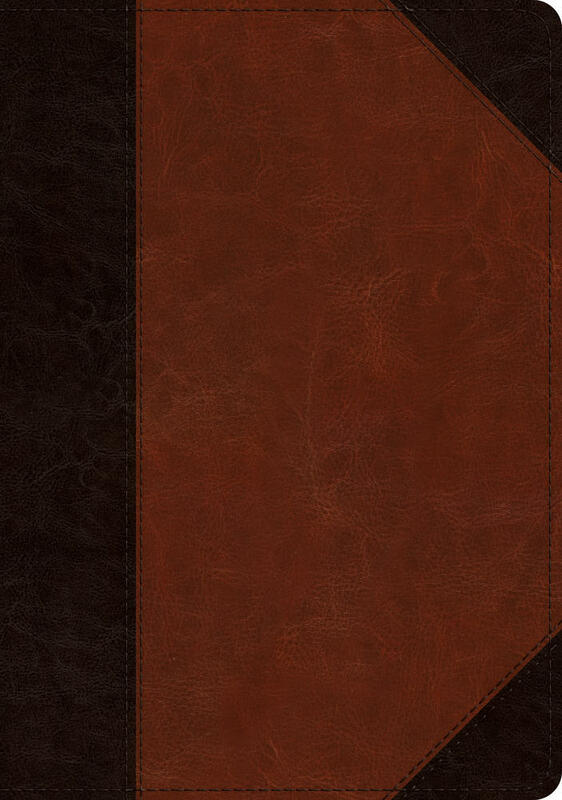 The ESV Pew Bible is an affordable, durable Bible designed for regular use in churches. 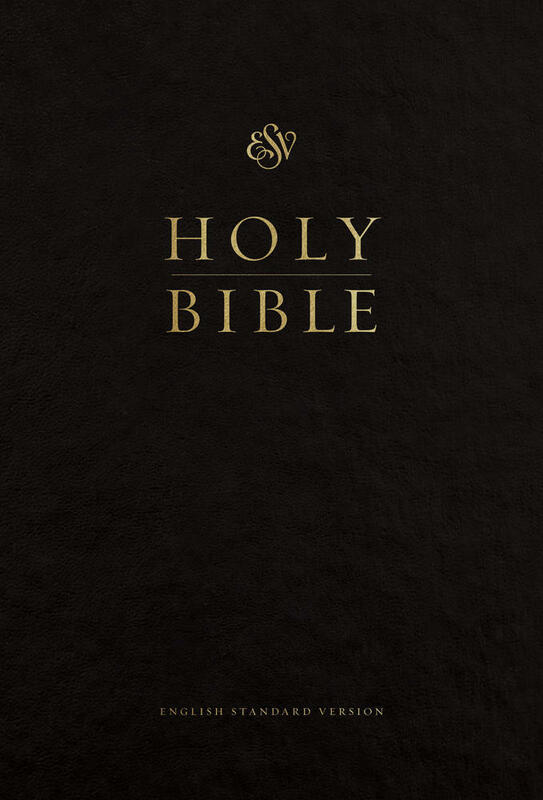 It contains the full ESV text in the same typesetting as the ESV Thinline Bible, priced for wide distribution. Redesigned. The ESV Premium Pew and Worship Bible is ideal for church use week in and week out. It features a durable hardcover format, high-quality Bible paper, and 65 responsive readings reflecting major biblical themes. Redesigned. 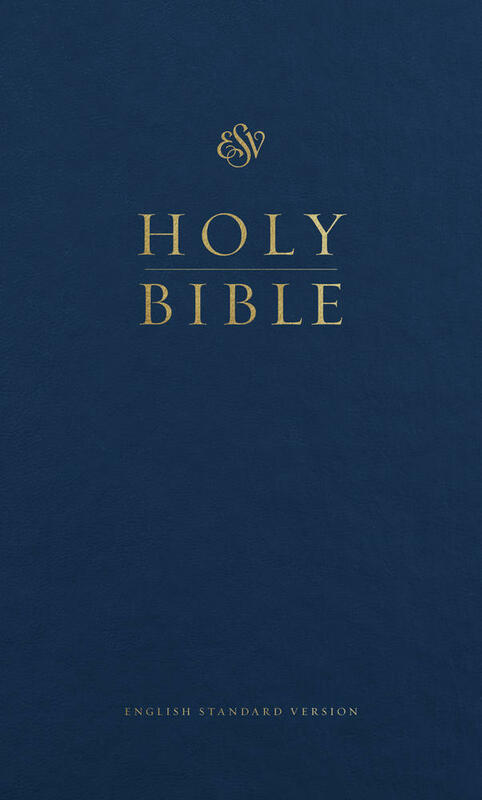 The ESV Pew and Worship Bible, Large Print is ideally suited for church use, featuring large, readable type, a durable cover and binding, high-quality Bible paper, and 65 responsive readings. Redesigned. The ESV Pulpit Bible is a highly readable, specialty edition designed for use in pulpits, lecterns, libraries, homes, or anywhere God’s Word is esteemed. Redesigned. 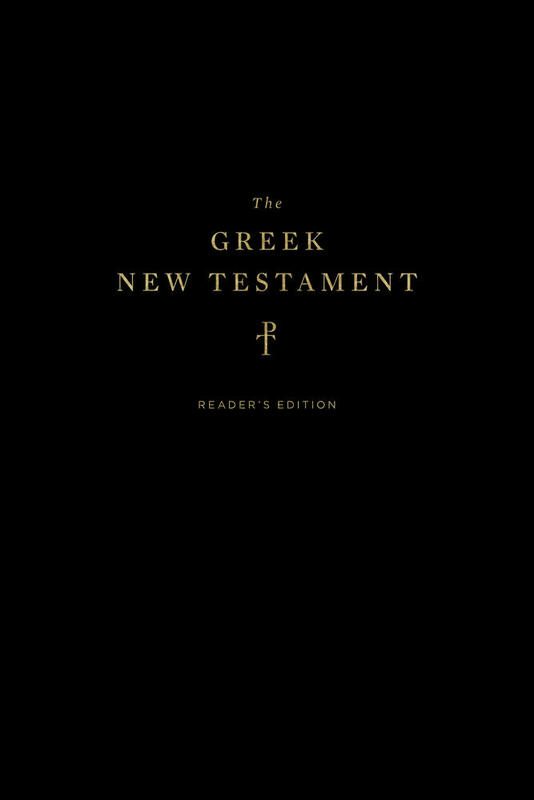 This reader’s edition of the Greek New Testament text combines the new Greek New Testament, Produced at Tyndale House, Cambridge with running glosses of words occurring 25 times or less in the New Testament.